Provide people and communities with intelligent, effective, inspiring, self-sufficient ways to be healthy in body and actions. Develop and teach methods that make medicine and exercise healthier, and daily life into built-in physical, emotional, social, and environmental health -- which we define as functional exercise and medicine. Reduce injury and pain syndromes by integrating healthy biomechanics into ordinary daily life movement - true fitness as a lifestyle. Address unhealthy practices in fitness, sports, health care, and daily life and interactions. Encourage mind-set that fitness, health care, and medicine are ongoing outside the gym, in your daily physical, mental, and community interactions and projects. Provide methods and training for compassion and empathy in medicine, and responsibility and accountability in health care. Reward intelligent health initiatives, good humor, and self-empowerment. Keep the process fun - we put the fun in functional. Training and knowledge for people and communities to be healthy in body and actions. Master Classes - Internationally attended evidence-based education. Fast-moving workshops, conferences, and ongoing classes. For the public, physicians, health professionals. Hands-on direct learning. Certifications for physicians, allied health, physical therapists, trainers, instructors, and the public. Recognition to those completing certification studies. Networking and Referral to Academy directors, practitioners, and certified students. Projects encouraging participation at many levels and locations for personal and world health. Awards to thank, recognize, and support those using this work to help the world. Groundbreaking Community Health Programs - click to see what our Academy Program Directors have accomplished. Fellow advancement for physicians and researchers - FAFEM. Course requirements on the Class page. The Department of Silly Syndromes - Laugh to better health awareness and self-protection about pseudo-medicine and dishonest claims. We are non-sectarian and dedicated to peace and health of all. We accept no advertising from unhealthful health and sports products. We never sell your name or information to mailing lists or anyone. Selling people is part of what we work to change, see more on that in Resources, below. Part of course tuitions go to medical research, charity, and elderly help. We continually add programs, please check back. Not all exercise is good medicine. Not all medicine is healthy. We change that. Instead of lists of artificial exercises, real life movement habits are retrained to stop sources of pain, and restore ability to do more. Strengthening and stretching do not automatically change damaging movement habits, fix posture, or stop pain. Retraining daily life movement habits and biomechanics to be built-in health care is an exciting change in fitness and health. We don't limit the person to limit the pain, or separate daily life habits from fitness. If you have to change clothes and stop your life to rehab injuries or get exercise, it's not fitness as a lifestyle. The same healthful movement is used for how you move at home, work, recreation - are you sitting in healthful position right now to read this? 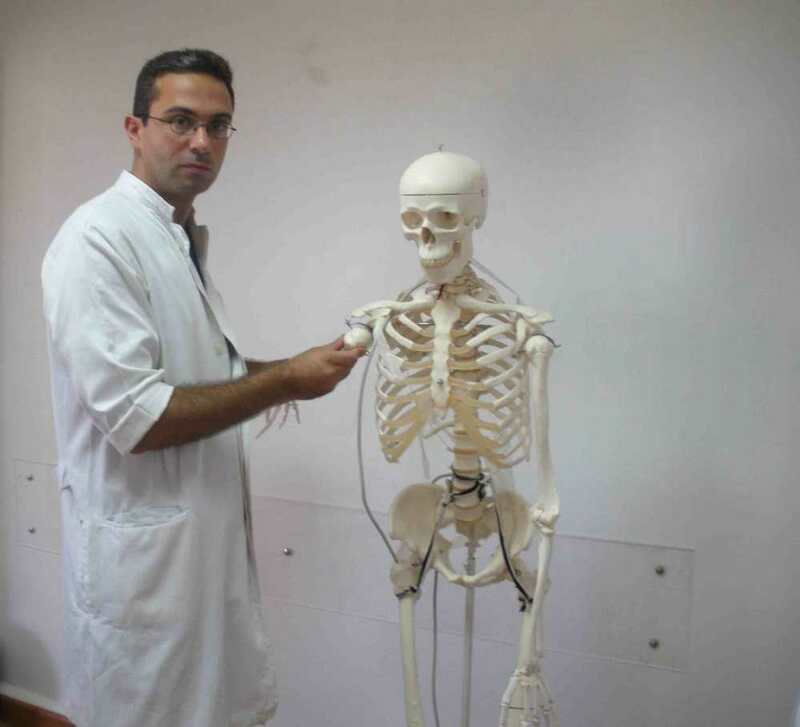 We teach individuals and groups healthy biomechanics habits for daily life instead of injury-producing habits, good food instead of disease-causing food, healthier training for high level athletes and military, healthier medical practices for the sick, no cost preventive medicine, "green" fitness, and healthier mind set. No need for commercial exercise equipment or supplements. Living a healthy life becomes inexpensive, simple, self-empowering, "green," and fun. Since forming the Academy, the word "functional" has been increasingly used by unaffiliated groups to sell their products and programs, many contrary to the mission of this Academy as stated above. For example, supplements exercises and practices based on popular but unfounded claims common to alternative groups. Ernest S. Campbell, M.D., FACS, Board-certified General Surgeon, Past Chairman Department of Surgery, Board of Directors Brookwood Medical Center Birmingham, Alabama, Fellow of the American College of Surgery. Joseph Estwanik, M.D., FACSM, Past President Association of Ringside Physicians, Fellow American Academy of Orthopaedic Surgeons, Former Competitor in Olympic Style Weight Lifting. 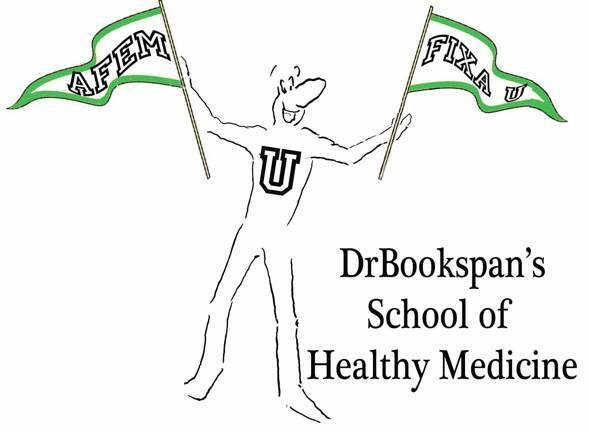 "Dr. Bookspan is widely acclaimed for her work in human physiology and sports medicine... known in scientific circles for successfully debunking traditional, but ineffective or wrong ideas. For that reason some have compared her to Galileo for changing the "held paradigm." She is known as a careful and brilliant researcher who has found the reasons why things were not working, and changed the paradigm to a more simple and more effective one. Her methods to reverse pain and injury are gems of common sense management." "I attended last year for your classes and came back specifically for more. I reinforced lessons learned - useful evidence based methods for treating pain. It makes my own back feel better. You are so genuine and passionate about the science. I refer patients to your books and programs daily." The workshops gave me a vastly improved understanding of mechanics and rarely presented ways of utilizing them for health and problem elimination/control. The overall learning/insight is excellent; the information of immediate clinical therapeutic use. I very highly recommend these courses." - Dr. Linder Wingo, M.D. "Jolie, Under your direction and experience, many updated techniques will follow." "It has been my great fortune to have the privilege to direct a medical school elective program. Thus it has been that budding clinicians for three years were privileged to learn first hand from faculty member Dr. Bookspan about healthy patterns for living and activity. It will be a great benefit to all their future patients (and themselves) if they continue to explore, learn, and apply the information and experience of Dr. Bookspan through the Academy of Functional Exercise Medicine." "I am so thrilled to be so honored. "The Academy is the missing voice in the litany of exercise noise. "The goal of improving daily life should be foremost in our priorities. Just as an athlete perfects a movement we should continually be looking to better those things we do constantly. "As always you are at the forefront of thinking and implementing. Congratulations on the Academy and the best of luck with it. I am honored to be placed in so exalted a position and shall cherish it." Classes - Workshops, Seminars, World Congresses, and opportunities to earn certification. Scholarships available for elderly, Native Americans, Indigenous people wanting to preserve their cultures in healthy ways, and children and youth at risk. How to apply for a certification class is covered on both the Student page and the Class page. Class schedules are updated on the CLASS page. 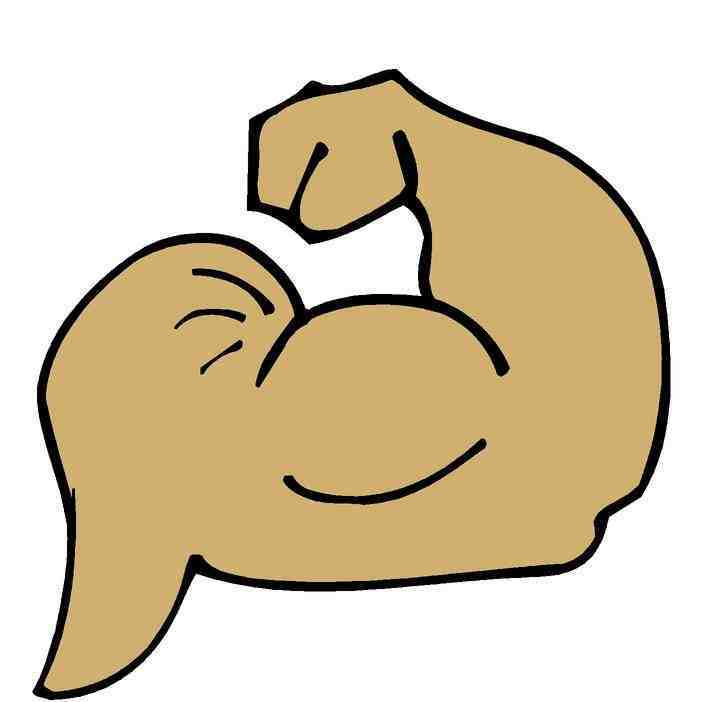 Twitter - Quick notices of projects, classes, Fixes, your successes, more - Twitter.com/TheFitnessFixer. The Fitness Fixer - Fun, intelligent information to change the entire idea of exercising and health for the better - hundreds of topics, almost 800 free articles - The Fitness Fixer. Fix Pain Articles - Free, step-by-step summaries for fixing common injuries, and fixing the exercises and stretches that cause them. Click the clinical page. Success Stories - Step-by-step histories how patients fixed a variety of injuries, and restored happy, pain free lives using these methods - Patient Successes and Reader Hall Of Fame. Laugh to better health awareness about pseudo-medicine ("woo-woo"). Click The Department of Silly Syndromes. Healthy Math Program for fun, understandable, math skills to more easily spot biased "studies" and consumer advertising. See the Functional Fun Functions program on the next page. Programs for developmentally disabled adults and children to learn healthy movement for job skills, personal improvement and pain reduction, participation in athletic programs up to Special Olympics levels. See our programs of Developmentally Ability on the next page, Academy Page 2 of Honors and Programs. Bookspan Basics - Functional Training Drills for yourself, your individual patient and clients, and your groups. Put the fun in functional with quick group training drills. I am looking for a special person to implement these as Director of Youth Programs of the Academy. You will work with me, Dr. Bookspan, Headmaster, to set up healthy movement training programs for schools, eventually as a nation-wide program. See the Bookspan Basics. Functional Fitness - Fitness as a (Real) Lifestyle - An all-in-one page of short fun instructionals on how to change all your daily life movement from reaching things on the floor and high shelves, to bending for pets, to making the bed, to sitting, and other real needed ordinary life movement. Health built-in to every day. See Fitness as a Lifestyle - Functional Fitness and Exercise. Flash Mob Healthy Alternatives. Use my work of healthy movement in my exciting program of #FlashFitness for healthy alternatives for your Flash Mobs. Prizes for healthy creativity. Show your good work to us on Twitter.com/TheFitnessFixer or contact through the Projects page. Functional Freerunning (Parcour) (tm) with Dr. Bookspan - Running all over the city (with walking, jumping, and other variations) to prepared and spontaneous stations of picking up litter, helping in gardens, good deeds, etc. TEFL with Dr. Bookspan - Learning languages in fun movement programs of brain and body. Healthy movement skills are used to teach and learn vocabulary, usage, direction, anatomy, comparatives, more, in a fun exercise class using music local to the speakers, and World pop. I started with English - Teaching English as a Fitness Language (tm), then added other languages for Teaching Everyone as a Fitness Language (tm). More on this is on the Academy Page 2 of Programs and Honors. Teaching Math As a Fitness Language. Healthy movement skills to teach abstract ideas of number, quantity, and space. Even the youngest children enjoy hopping jumping and "monstering" in different numbers, directions, operations, and fractions. Another part of my health-math initiative is giving people basic math skills to understand study results, poll scams, marketing claims, many others. More on this is on the Academy Page 2 of Programs and Honors. "The Red Rock Society." Some Native American tribes long ago voted whether to go to war or not. The women, who stood to lose their men and resources, could cast a red stone against it. I propose we all stand up to be heard and cast our Red Rock. Contact me through the Projects page to help build this world Red Rock Society program for healthy peace. Stop Human Trafficking, a grave world health issue. Impossibly, slavery is more pervasive in this century than any previous. I am building Academy efforts against trafficking. Be in contact for adding your strength to rebuild and educate people and communities. Books - Fun, easy to read, immediately helpful, all techniques together in one source books. Help locate or build the Academy Center - Beautiful place to come learn, fix pain, build a healthier Earth. To take part, contact Dr. Bookspan - details on the Projects page. T-shirts and Back Savers - Fun reminders for spine health - mugs showing neck health during extension (drinking), bags that teach carrying, mouse pads reminding sitting posture. Of course, portions of proceeds go to scholarships and charity. Get and give Uncommon Sense gifts on the Academy GIfts page. Founding Director of the Academy is Jolie Bookspan, MEd, PhD, FAWM. Dr. Bookspan pioneered changing medicine to make it healthy, functional biomechanics and real life methods for rehabilitation instead of artificial exercises and restricting activities, and pioneered patient participation as integral to long-term medical success. The first to start fitness programs on Cruise Ships against consensus at the time that no one would want to be active on vacation. First to identify need for central database of surgical outcomes, and campaign for it ever since. Dr. Bookspan has been awarded an International Humanitarian Award for this work. Our programs not only save the rainforests, we save you so much on unnecessary medicalization of injury, that you can give to the poor and still take a vacation to the rainforest. Program Directors are appointed by Dr. Bookspan - past directors included Stuart Wood, Peggy Santamaria, Paul Jenkins, Annie Fetter. See their inspired community health programs, our student honor roll, and how you can participate, on the Academy Honors page. Will you join us next? The Academy and all materials, articles, methods, logos, awards, classes, certifications, etc are the intellectual property of me, Dr. Bookspan. An Academy certificate from me designates that you have learned my methods, and demonstrated your good work and understanding to me personally. There are health care professionals and instructors who teach aspects of my work, however, there are no valid certificates with my name or the Academy name unless they come directly from me. Backman! (tm) is the comic figure teaching healthy movement in my (Dr. Bookspan's) books, articles, and teaching materials, and is mascot for the Academy. I first designed him, and had a professional artist draw him. When the artist left the project to pursue his career, I continued to develop and draw him. Backman! (tm) is trademarked and copyright by and to me. Backman! appears in hundreds of illustrations in my books and materials - simple lines showing each key concept. Backman! works around the world in my projects of safer fitter accessible playgrounds, health gardens, water projects, elder care, self-sufficient no-cost community fitness and health, and many other Academy projects. Read more on the Projects page. He campaigns for medical accountability, against suffering and oppression, speaks several languages, and moonlights as a Superhero. Contest Winner To Name the Backman Dog! Previously, Dog was "behind the scenes" developing high level quantum work and making sure of accuracy in all projects and research - while playing chess. Dog will increasingly appear in articles with Backman! But what is his name? Readers sent in many entries in the Contest to guess his name. Runners Up were: Dr. Backbone, I.Q,. Maxwell Smart, Professor, Paws Two-Think, and Tangent. Dog chose the winner - sent in by a fun reader who often sends helpful web page typo fixes and great ideas, and who requests to be known only as "Anonymous J"
eMail or Tweet (Twitter.com/TheFitnessFixer) to say hello. "Spot The Anomaly" is helping students during my classes assess gait, movement, and other body mechanics, so that they can "Spot The Anomaly." See "Spot The Anomaly" with Backman! at the top of the Fitness Lifestyle page. The Academy gives annual awards to thank, recognize, and support those who make the world healthier (The Academy Awards!). Award categories for physicians, individuals, health instructors, teachers, and others who lead by example. You can endow a memorial award. e-Mail: AcademyAwards @ DrBookspan DOT com. Our Hall of Fame is now on the Patient Success page. Lead my simple re-training drills for your own groups. Bookspan Basics - group training drills are a set of quick fun skills to teach your schools, camps, teams, and others. Learn better, healthier movement skills for all you do. Are you my next Director of Youth Programs, Math For Fitness, Communications Liaison, or Director of Electronic Media Learning? Youth Director initiates and oversees programs training lifelong health, starting with Bookspan Basics - group training drills, Fitness as a Lifestyle, and Emotional Fitness for schools, camps, leagues, and other healthy group structure, building a world-wide program. Math Director and contributors add short fun articles and programs so people have better understanding of the ways marketing twists truth with misleading numbers, and how to avoid that for healthier decisions. Communications Director liaisons with press and distribution avenues to increase awareness and fun for all. Director of Electronic Learning creates cool fun internet and cloud based apps, DVDs, learning channels, more. Send projects you are doing or developing in these topics and others to me (Dr. Bookspan) at HelpfulReader @ DrBookspan.com. Click here to see what existing Directors have achieved and how to add your talents. Put MORE of your good ideas and talents into practice. I offer fun projects to make your health and the world better. Get priceless instruction in return for your participation - artists, architects, engineers, photographers, musicians, marketing geniuses, karma capitalists, honest workers, journalists, accountants, tradesmen, craftsmen, technicians, lawyers, communication specialists, YOU. Projects added often - Be prepared to have fun and use your brain. Click Fun Projects. Take Classes. Learn how to bring healthful techniques back to your fitness, rehab, and medical centers, and also to orphanages, Indian Reservations, elder communities, impoverished communities, the World. Click Classes. The only authorized Academy certificates are by training in person with me (Dr. Bookspan), with smaller certifications possible with specific distance learning. Academy student web page lists recognized students. Earn Membership. There are no membership dues, just membership "do's" - To be a member, you DO need to be good, and do good. Membership is by sweat-equity. Welcome. Your membership is good as long as you are. More on membership, and Membership Card down-loadable from this site, coming soon. WATCH THIS SPACE. Send your membership card ideas. Wear and Share Healthy Fun. Get and give T-shirts, funny health reminders, gifts with UNcommon sense gifts from the Academy. Health updates, quick & short: Twitter.com/TheFitnessFixer. Add your tweets of fun and funny health fixes. Endow an enduring program, donate scholarships and materials, create good. Click the yellow donate button for PayPal. Thank you ! George Nakhlé and model both demonstrate "the forward head" which is a common source of upper body pain. Take Dr. Bookspan's seminars to learn how to fix this unhealthy posture and keep pain from coming back.